Submitted by Glenn Clark on 15 December 2013. It is my pleasure and honor to introduce Dr. Amy Leventer. Dr Leventer is legendary in respect to research in Antarctica. 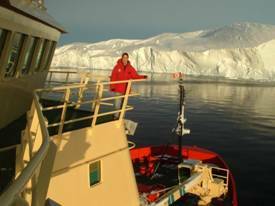 She first travelled to Antarctica since 1983 and in her own words it changed her life. The pristine beauty led her to pursue her PhD form the University of Texas. 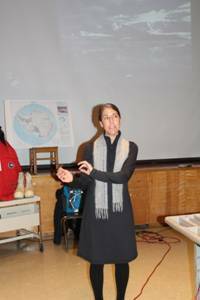 Dr. Leventer has just completed her 25^th trip to Antarctica! Dr. Leventer's expertise is micropaleontology. Briefly put she gathers core samples from the sea floor below the ice. Once extracted the samples are examined layer by layer for microscopic algae called diatoms. These diatoms provide valuable information about the climate thousands of years ago. Dr. Leventer will be the lead researcher on The Totten project and has spent countless hours planning the entire expedition. If you would like any more information about her contact me using the Ask the team link.